D. G. Meyer, Inc.— serving all your home and business heating and cooling needs in Central Florida since 1987. We will be happy to install and service your commercial or residential heating and cooling system. Our residential and commercial departments are capable of quality installation of air conditioning and heating systems of all sizes and types. 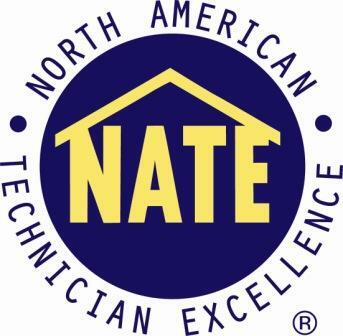 Our experienced and NATE trained technicians, along with a full compliment of tools and resources provide our customers with the quality of workmanship and service they deserve. Commercial and Residential Installation and Service. D.G. Meyer offers Service 24/7! AC, Sheet Metal & Electrical. We take pride in our Appearance! We are a premier AC contractor and repair company, servicing Port Orange, Ormond Beach, DeLand, Deltona, Daytona Beach, Palm coast and more. You can trust your air conditioning system to the expert professionals at D.G. Meyer Inc.
D. G. Meyer, Incorporated is a Florida State Certified Air Conditioning, Sheet Metal and Mechanical Contractor— licensed, insured, and bondable, with a full complement of tools, vehicles, and equipment to handle all your construction and residential needs. D. G. Meyer, Incorporated holds occupational licenses to work in all municipalities of Volusia County. We also are registered and hold Occupational License to work in many other counties throughout the state, such as Brevard, Dade, Flagler, Orange, Putnum and Seminole counties. We will register to perform work in any county when the need arises.